What is the Difference Between DSL and Cable Internet Connection? DSL is an acronym for Digital Subscriber Line it is a technology that facilitates the connection of digital data over a telephone line in these types of a way that a telephone conversing and data transmission happen simultaneously. This is convenient because the telephone conversation utilizes the lower portion of the bandwidth given (25KHZ). The speed at which data transport occurs in a DSL line can cover anything from 24Kbps to 24Mbps depending on various conditions under which the services is offered. When a customer has a DSL line installed, a DSL modem would likely also be required, together with a DSL filter for each telephone connected to the line. The function of the DSL filtration is to isolate the telephone from the higher frequency components used for Internet service provider data. Cable Internet is a technology that takes existing cable TV system to provide Internet connectivity in virtually the same fashion that DSL uses the pre-existing telephone line. DSL was primarily designed as a competitor for cable Internet. Cable Internet produces broadband Internet access to the customer. Cable Internet is commonly used in the last miles between the Internet provider and the customer. The data transmission speeds range between 2-50Mbps downstream (Service provider to User) and then 384Kbps to 20Mbps upstream (subscriber to service provider). 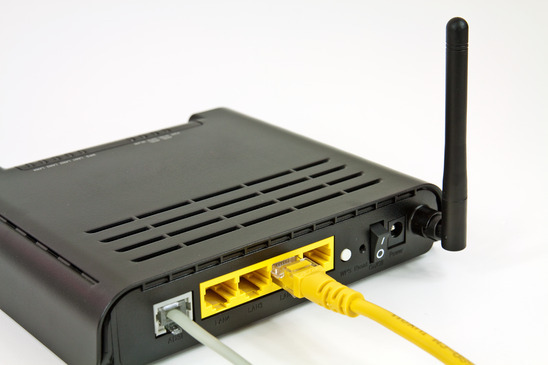 Cable Internet should have a cable modem to be installed at the customer end and connected to the components at the service provider through coaxial wire. The distance between the equipment installed at the facility provider's premises and the cable modem will be as large as 100 miles. The issue with cable Internet is that it must be an 'Always On' connection and tends to decelerate when too many subscribers getting a single coaxial cable attempt to connect to the Internet. The capacity is huge as a single downstream channel can cater to hundreds of subscriber connections.